Ok, since the mainstream press is already salivating over the next presidential election cycle (never mind that we haven’t had this year’s mid-term elections yet!) – I’m going to put forward the platform I would support, endorse, or at least like to see some candidate use. This is a living document, subject to periodic reviews by me, and updated as I feel it is needed. Originally published May 30, 2014. I have many posts on my blog about the nature of Islam and what Muslims believe and are willing to do. I don’t want to belabor that point here, but suffice it to say that if all of humanity is a single living organism, it is my belief that Islam behaves like a cancer cell in that organism. We’d be foolish to not address it in the same way medicine would address a cancer. If I were to suddenly find myself filling Obama’s shoes, I would use an Executive Order to put Islam and all parasitic support organizations (Nation of Islam, Muslim Brotherhood, ISIS, Hamas . . .) on the list of officially recognized terrorist groups, and order all Islamists expelled from the country – as a start. Confiscate all their assets in this country, and divert the cash to compensation funds for the relatives & survivors of the acts of terror Islamists have committed against the US. Sell all real estate holdings and add those proceeds to the compensation funds as well. Back Israel in securing it’s borders and providing for their defense. Help all our North American and European allies to move towards implementing the same rules towards Muslims that Japan uses – and move us that direction as well. That’s a good start. Mandate the use of E-Verify for all employers nationally, no exceptions. This would need teeth – I propose a $10k fine, per undocumented worker per incident. Which would mean that if INS raided a factory and found 200 non-documented workers there, that one incident would generate a $2 Million fine. If it happened again 30 days later, that’s another $2 Million. We should use the fines to cover the cost of immediately deporting the illegal workers; no free time in our jails on the taxpayer’s dime. Also, no corporate bailouts or tax breaks for any corporation that imports more than 10% of the parts used in manufacturing or imports more than 15% of the retail goods it sells. No imported parts are to be used AT ANY POINT in the manufacture/repair of government or military equipment, as a national security concern. Lobbying is one of the largest parasites in the US, and only serves to move our Republic towards becoming an oligarchy. We need a total firewall between civil service and private sector employment, not a revolving door. We also need to totally prevent corporations from funding the studies that federal agencies use to determine the safety of products, medicines, and foods. The reason for that should be obvious – it creates a conflict of interest. Besides, even a dog knows not to bite the hand that feeds it. You will hear that phrase again. Direct corporate lobbying should be prohibited. Private sector employment at any corporation that employs over 100 US workers shall be grounds for disqualification from civil service appointments, and vice-versa. US government branches like the EPA and FDA shall be directed to put public safety ahead of corporate profits, and where the two clash to always assume that nature’s own solutions are better than manufactured ones. I support totally abolishing the income tax system, and transitioning to a flat national sales tax. 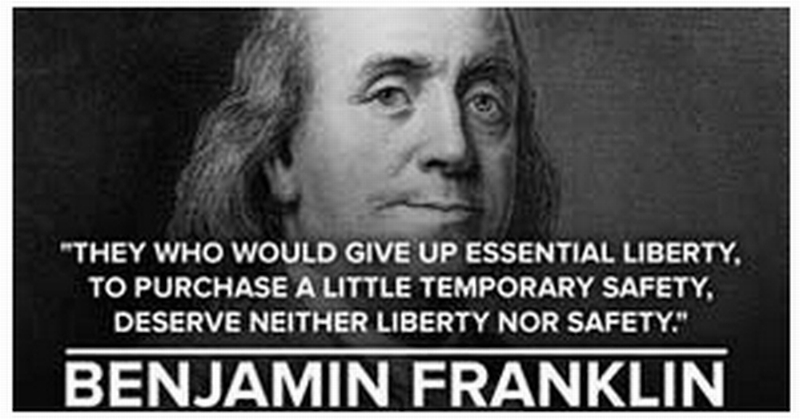 However, that does not go far enough to disengage the government from your pockets. Beginning with those who are under 30 years old now, we need to begin making individuals responsible for their own retirement plans for the future. This nation’s original architects did not envision a society where Uncle Sam took care of you – you were supposed to take care of yourself. Churches and family were the expected backups, the government was NOT supposed to be a part of the process. I believe that you can take care of yourself, if we get rid of a lot of government interference and incentive not to. Originally, only males who owned land could vote. Voting has always been a privilege that you had to meet qualifications for, not a right. Back in the early days of the Republic, you had to work for a living to have a voice in government. To some degree we still need this. While the definition of citizenship has changed, and needed to, in the last 2 centuries, what has not changed is that outside influence and internal entitlement are tearing our country apart. So, another change to voting law is needed, IMHO. Only those legal citizens who work full-time jobs, are self-employed, or have been honorably discharged from the US Military, should have the right to vote. That not only excludes those who support themselves on welfare alone, but those who make more money from investments than they do from wages. A government-issued photo ID should be required. Additionally, we need to reform the Electoral College. As it stands right now, candidates can focus on less than 6 states and have a viable shot at winning the Presidency. That is totally ridiculous. Every state matters, and anyone who dismisses the heartland of the country as “the Fly-Over States” doesn’t deserve to be our national President. So, instead of apportioning Electoral College votes by population, they should reflect the number of seats each state holds IN THE US SENATE. But there is one more change that is more important than all others – we need a Constitutional Amendment that would invalidate the results of any national election that failed to generate participation by at least 65% of all eligible legal voters, nationwide. This would put an end to our nation being governed by those who barely managed to gain a majority of votes in elections that only 45% of the voters participate in. Think about it – does someone who wins the support of only 23% of the eligible voters in the US really deserve to be our President? Next; we need to stop training children to take a nationally standardized test. Train them to study effectively. Train them to think clearly. Train them to use a library and do research to answer questions for themselves. Once they’ve learned to read, they no longer need to be lectured. One more thought, though this should be obvious: the strength of any school’s sports squad has no bearing of any kind on the quality of their academic education. For the last 50-60 years, we’ve been engaged in the wrong discussion. The practice of medicine should be focused on maintaining health/wellness first, and repairing it second. Every high school graduate should know as much about health and nutrition as they do about mathematics. Every medical doctor, and every pharmacist, should know as much about nutrition and functional medicine as they do about pharmacology. The United States has the finest trauma and crisis centers in the world, and we do need them – but trauma care should be the END of the for-profit medical journey. When dealing with illness, we need a system more like the older oriental approach, where each “general practitioner” would have a specific group of people under his/her care, and as long as they stayed well, they pay him a set fee every month. If they get ill during that month, not only do they not pay the fee, but treatment of the illness is free. Patients would be allowed to seek out the best caregiver they could find, creating competition between caregivers to do the best job of keeping people healthy. There would be NO need for insurance companies or other parasites between the doctor and the patient, and no reason why the doctor’s treatment records would need to be seen by anyone else. End all international aid programs except NATO and Israel, and keep the money at home where we can spend it on our own prosperity and security. Make it official policy to allow all other nations to decide for themselves how to live, and turn in our “World Police” badge. Immediately recall all troops assigned outside the physical boundaries of the US, except those directly attached to Embassy Security details (which should be doubled immediately). Those troops returning to US soil who are wishing to remain on active duty should be assigned to the border patrol. All National Guard units and assets are returned to the control of their respective state governors, for use as those governors see fit. Even the most minimalist estimates say our current national debt is over $17 Trillion – and that is money we’re borrowing from our kids and grandkids before they even start school. It is inexcusable. While there has been a lot of talking about balanced budgets, that only tries to keep the beast from getting larger. We need to curtail spending to sustainable levels that enable us to responsibly pay down the debt, with a clear (and achievable) goal of being debt-free within 20 years. That means paying the full interest on our debt every year, plus paying down 5% of the principle based on the current debt level. We also need to learn the lessons of the past – specifically regarding Prohibition. The US needs an end to the domestic “War on Drugs” immediately, and re-purpose that $50 Billion/year on long-term, in-patient mental health facilities, and paying down the debt. All non-violent drug offenses of the past should be granted a Presidential Pardon, and the prisons directed to return those so incarcerated to civilian life. Finally, we need a Constitutional Amendment to prevent any more experiments with imposing morals on society as a whole through national law. Prohibition failed, the War on Drugs failed, and there are 2 or 3 other experiments currently working their way through either Congress or the Courts that I predict will fail because of one thing – Nobody Ever In History has ever been capable of getting over 300 Million people to all agree on anything. Trying to force it is only asking for trouble. Look at history for lessons on this. Ghengis Khan & Rome may have had two of the largest empires in global history, but their longevity was not because of imposed uniformity. Instead, both integrated local societies that were empowered to continue pretty much as they already were, except that they were sworn to loyalty to the empire. The lesson for the US is that State Governments should have more influence on their residents than the Federal Government, and each state should be allowed (even encouraged) to be as individual and distinct as it wants to be, in comparison to the others. Citizens who dislike the social environment in one state should be encouraged to relocate to a state more to their liking. 1. No automatic birth citizenship unless at least one parent is already a legal permanent resident of the US, regardless of where the birth occurs. Yes, I know we’d probably have to change the wording of the 14th Amendment through another Amendment, but it’s what we need to do for the good of the United States. Every other industrial nation on this planet has already ended this practice, so it is not unreasonable for us to also protect our own. It is also possible that the Supreme Court could fix this by simply overturning the earlier ruling. It wouldn’t be the first time a sitting SCOTUS overturned a ruling by an earlier SCOTUS. It’s worth looking into. 2. Anyone caught illegally entering the US (or illegally overstaying a visa by more than 30 days) will be automatically deported and prohibited from legally returning for at least 10 years, regardless of familial ties. 3. Anyone illegally within the US who is convicted of any felony will be automatically deported and placed on a list of persons permanently prohibited from re-entry. 4. Anyone who is not able to produce verification of legal residence is prohibited from utilizing any of our national entitlement programs, either for their own benefit or on behalf of any dependents. Anyone who can’t pass a credit check is prohibited from renting any place of residence. 5. English will be the language of national business – if you can not speak or read it well enough to properly fill out the paperwork, you are not eligible to become a naturalized citizen. Government employees who primarily deal with the US public should not need to be bi-lingual, and government offices should not need to employ translators for any non-English language. 6. One of the major motivations of those who illegally enter the US is the ability to quickly make much more money than they would be able to earn legally in their home country, and then use wire transfers to send a lot of that back to relatives still at home. The final (I think) plank in a sound plan to reverse illegal immigration would be to block all wire transfers to Mexico and Central America. 7. Every legal resident of the US keeps ID with them almost constantly. You must have it to drive a car. You must have it to cash a check, or pay with a check at any merchant. You must have it if a police officer asks you for it. Additionally, anyone who has traveled abroad can confirm that US Citizens are required to have ID to check in at any motel or hotel, anywhere in the world – and in developed nations like Europe most hotels will HOLD your ID at the desk, available to police inspection upon request. THERE IS NOTHING unreasonable about expecting legal visitors to our country to expect the same conditions we confront internationally, or follow the rules we ourselves live by. If any US police officer encounters someone who refuses to produce papers that verify legal entry and/or legal residence, it is fair to assume that is an illegal and begin processing them for deportation. Let’s face it – after the Revolutionary War, our Founding Fathers’ had two unifying fears; that the world’s greatest existing military would return to continue the fight; or that our nation’s government would some day be as bad or worse than the one they had just kicked out. The purposes of the 2nd Amendment were to ensure that anyone, anywhere, would have the physical means of mounting an effective resistance to an armed invasion force landing on our soil, and that if it was ever necessary, the citizens of this country would have the means to resist the abuse of power by our own government. Thanks to technology and our standing military, we don’t have to worry about being surprised by an armed invasion. However, the revelations by Edward Snowden have shown us that the threat of our own government abusing it’s power has never been more real. The 2nd Amendment applies to individuals, and to any firearm or weapon an ad-hoc group of civilians might use to defend themselves against armed government agents/military. If the government can justify arming cops with it, law-abiding citizens should be allowed to buy it. The same also goes for defensive gear – if the police and military have Kevlar, no private citizen should be prohibited from buying it if they can afford to. We also need to fully reinstate the “Posse Comitatus” Act, and set it in stone that our military forces will NEVER have authority to act against our own civilian population. Many of the veterans my age or older will confirm that we were taught that we had a duty to disobey illegal orders. However, in talking with some of them more recently, I’ve seen some serious “rose-colored glasses” about the consequences of doing such. Having been in that position myself, I can tell you that disobeying a direct order results in an automatic non-judicial punishment (Article 15, when I was in the Army). If, however, you want to seek legal counsel on whether or not to fight the Article 15, the act of doing so automatically escalates the punishment to a Courts Martial proceeding. For the record, I chose the Article 15, for reasons to be explained as I continue. Conviction at a Courts Martial will usually mean, at a minimum, a dishonorable discharge with loss of pay and pension/benefits. The Courts Martial will be judged by an officer of the same branch of service, usually from your current chain of command, and the prosecutor and defense attorneys will both usually be officers from your unit, or at best the local post’s own JAG office. It’s a stacked deck, and it’s no wonder that most Courts Martial trials result in conviction. Add to that the fact that the ENTIRE military takes orders from the POTUS, and Private Manning never had a chance at a fair trial. To fix that, I propose that the UCMJ be abolished, and that all military disciplinary actions be handled in civilian courts, under civilian judges, and open to the public and media scrutiny. The members of the military should never obey an order to do anything they would feel needs to be hidden from the public they serve. The original architects of the US government envisioned that it should be a controlled beast, kept on a short leash, run by people who themselves worked and lived under the policies invoked in it’s name. From 1776 to the advent of the Civil War, most of the routine business of the US government could be done in a few weeks, up to 3 months – mostly during the winters. This was by design – the elected officials went back home to run farms and businesses that needed attention through the rest of the year. Doing this kept them plugged into their local communities, where they knew the problems their friends faced and whether national or international policy had caused any of those problems. The more remote the government is from those it governs, the LESS power it should wield directly over their lives. No agent of the government should ever have authority that exceeds that of the local police, or overrides them. The only elected officials who should be paid directly from the coffers of the national government are the President and Vice-President. All congress electees of both chambers should be paid by the states that elected them – for the reason that this keeps them more accountable to the state than to the national behemoth. Congressional benefits packages should be identical to the benefits available to any military service member or G-2 employee, and to adjust congressional pay should require a super-majority of the participating voters at the next national election to ratify it. National elected officials should be prohibited from serving more than 2 terms of elected office, as an accumulated total. This would cause a constant turnover, which would reduce the likelihood of corruption. A 2nd term senator could not run for the house or the presidency. An appointed Vice-president who then serves one term as an elected Vice-president would be eligible for a maximum of one term as the President, unless he/she has previously served in the national Congress. Those currently serving elected terms who have already exceeded that limit would be allowed to complete the current term, but prohibited from running for national office ever again. As a matter of national policy, we need to strip corporations of “person-hood”. The only thing a corporation has in common with a person is it’s natural inclination towards self-preservation. It does not create anything – the people working in it do. It does not make anything – the people working in it do. It often seeks to preserve itself at the expense of those working for it. It should not have the ability to own Intellectual Property, nor should it have the ability to influence elections. The NSA should be directed to immediately shut down all domestic surveillance operations that are not supported by unsealed, non-classified judicial warrants. All judicial surveillance warrants should be available to public/media scrutiny. The TSA should be fully de-funded and dismantled, having failed to accomplish any of it’s mission objectives. 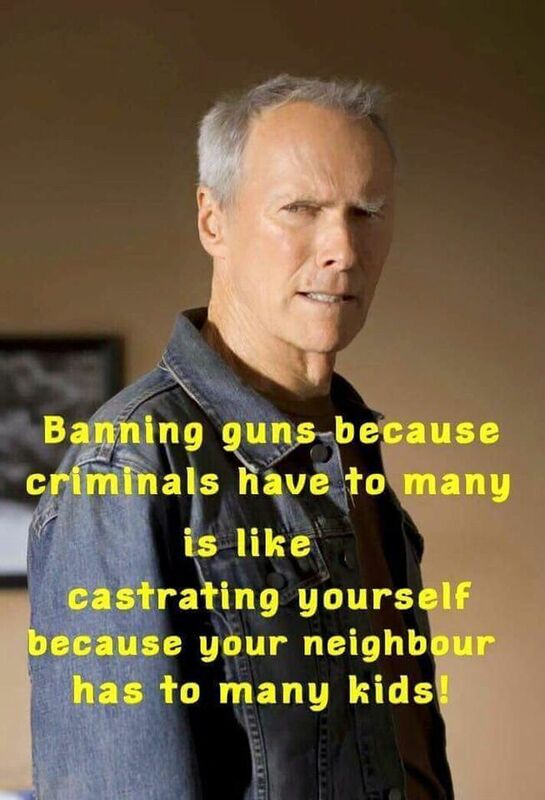 Clint Eastwood on gun bans . . .
I’m calling the BBC out on this one. What I want to call them out on is that the graphic at the bottom of the article makes the US look completely out of control on guns – and I’ll admit it looks very scary. Which I’m sure it is supposed to. What the BBC isn’t telling you is that they are reporting ALL forms of gun-related death, including suicide, drugs, gangs, criminal misuse of guns, legal self-defense, and police killing people caught committing crimes who resist arrest. NONE of those will be altered significantly by any unilateral action President Obama can take. Not even one. 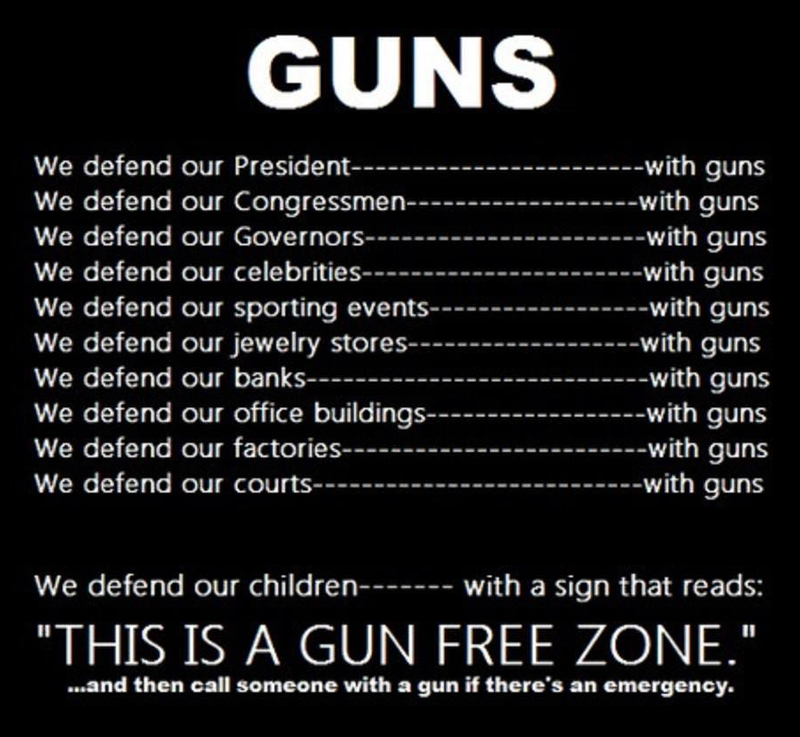 What the anti-gun crowd consistently ignores is this one unalterable truth: criminals do not care what the laws are. THIS is exactly why Obama hates veterans so much! Obama may have been elected as the US President, but the job he really wanted was DICTATOR. One question – if he does try this, is there anyone in the US House of Representatives with the guts to file Impeachment charges? Or can they get a bill to block funding, with enough votes to override a veto? Kudos to my wife for sending me the link to this article. THANKS! Here is something I thought was news-worthy. Not the statistics reported, though if you’re paying attention, you probably already new them. No, the thing that is news worthy is that the Washington Post published the article. For the benefit of readers overseas, there is a political divide over gun rights in the United States. The liberal faction absolutely hates guns, and those who own them, and works tirelessly to eliminate them from our country. The conservative faction sees guns as a matter of personal defense, and the last line of defense against the abuse of power by our elected leaders. Finally, in all honesty, there are the criminals who do not follow any laws, know they will always be able to get/make guns, and unrepentantly do as they please wherever they feel safe from resistance. The Washington Post is a mostly liberal news publication based in the Washington, DC, area. So, with that background, you can see why it is worth noticing that the Washington Post ran an article with the headline, “Gun Violence Declining, Except In Gun-Free Zones”. I’m not really paying much attention to politics at the moment – most of it is more “political theater” than actual governance. However, someone recently pointed this out to me, and after reading it, I thought it worthy of sharing. It is the official website of the Donald Trump presidential campaign, speaking specifically about the 2nd Amendment. UN Small Arms Treaty . . . Negotiations are underway in Mexico, even as you read this, to use the UN Small Arms Treaty as a vehicle to give President Obama all the gun-control powers he’s been craving. If you care about this, please sign a petition aimed at your Congress officials, to pressure them to fight against it.